I think I've mentioned that writing a blog is a great way to learn stuff. People read your stories then tell you lots of things you never knew. I don't remember most of them, of course, but I'm sure you would. So if you want to know more, write a blog. Which reminds me of a young primary pupil's written comment on a reading assignment. "This book told me much more about penguins than I wanted to know." Marion for instance told me much more about phenomenology and cushions than I wanted to know, and just the other day I learned from Rachel that dogs can tell if you've got cancer. I'm not making this up and it came at an opportune time for me, because it turns out my quick-thinking at the doc's had only delayed the inevitable. Instead of getting an internal examination from a female GP, I'm now getting an internal examination this Tuesday from an equally female nurse consultant called Bridget McSweeney. I have a clear picture of Bridget. Six feet tall, bulging biceps, tanned legs, small moustache. 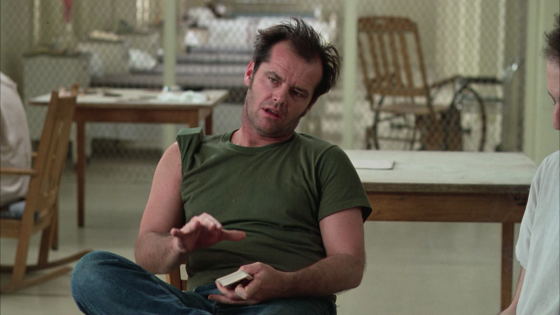 Personality like Nurse Mildred Ratched, who used "subtle humiliation, unpleasant medical treatments and a mind-numbing daily routine" to subdue the inmates in One Flew Over the Cuckoo's Nest. I mean ask yourself. What kind of woman specialises in examining guys' prostates by - and there's no delicate way to put this girls - shoving a rubber-gloved finger up your arse? So I make an appointment with the oldest GP in the practice, and ask what's going to happen at this prostate assessment clinic, and he confirms that yes Bridget will do that, but the alternative is worse. "If she's not happy with how it feels she'll take biopsies," he tells me. This is medical speak, it turns out, for pulling her finger out and shoving a huge needle in. Which reminds me of an election to the student body at Glasgow University, way back in the 60's, a time when political correctness meant spelling "Tory count" right. The candidate was Harry Nobbs and his election slogan, ultimately unsuccessful but entertaining enough to win my vote, was "Fingers out, Nobbs in." So anyway the biopsy procedure uses a dozen of these big needles in turn to take samples and it's painful, Doc Elms tells me. Now I've never heard a doctor use that word before, standard medical euphemism for anything from a blood sample to getting your leg sawed off being "You might feel some discomfort." So if my doc says it's painful, it's excruciating. Way worse than routine stuff like childbirth and right up there with a fast-bowled cricket ball in the nadgers. So I'm in the mood to listen to anything that resembles an alternative. "I went to the Vet School open day last weekend," Rachel tells me on the phone. "I got lots of nice stories about dogs and other animals that I'm going to write up for Three Minute Learning. But I wanted to tell you about one in particular, because I was reading your blog about prostates." "What have dogs to do with prostates?" I ask. "Apart from having them, which I assume they do." "All mammals have prostates," Rachel says. "Male mammals, anyway. So I was talking to this nice couple, who work for a charity called Medical Detection Dogs, and one of the things they do, they told me, is train dogs to detect prostate cancer by smell." "Listen, I'm not sure a German shepherd's snout down there is any better than Bridget's digit." "Don't be stupid," she says. "That's not how they do it. They take urine samples. They can line up half a dozen from different people and the trained dogs will detect the one with cancer, just by scent, in seconds." "Well that's fantastic," I say. "But I'm guessing it's not standard medical procedure. Not unless Nurse Bridget McSweeney is one of those posh pedigree names and she's really called Lassie." "Not likely," Rachel says. "But it might be worth talking to these dog people instead of getting the big, scary needles." "They don't scare me," I tell her. "Maybe they should," she says. "Especially if you write this up for your blog and Nurse Bridget reads it. I know you say you have to be able to write about anything and have artistic freedom and all that nonsense. But even you wouldn't be that stupid. "Of course you wouldn't," she says. "Of course I wouldn't," I tell her.